On June 22, 1941, Operation "Barbarossa" (Unternehmen Barbarossa) took place, the German Nazi's poured 4 million troops over the Soviet border. The war between Germany and Stalingrad started on July 17, 1942, before the Germans ever set foot on Stalingrads territory. On September 3, 1942, the German Sixth Army reached the outskirts of Stalingrad. Just one month into the fight over 2.5 million Russians were either killed, wounded, or captured. Because of this, Hitler told his men to go into Leningrad, Stalingrad, and parts of Moscow. This particular war ended on February 2, 1943. Historians would argue that this was the bloodiest battle during World War II. Some Russians would say that it was their best fighting battle of the war. Loseb Besarionis dze Jughashvili (ჯუღაშვილი), also known as Joseph Stalin, was born in Gori, Georgia on December 18, 1878. 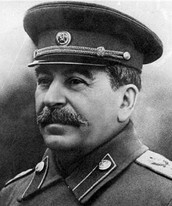 Because of Stalins father, his family had to move nine times in the first ten years of his life. He received a scholarship for Gori Theological School when he was ten years old. His father wanted Joseph to train to become a cobbler rather than become educated. A cobbler is someone who mends shoes as a living. Stalin ended up joining the Bolsheviks under Lenin. He left Siberia by train on January 17, 1904. He had no income because he decided to quit his job, so he stayed with his circle of friends for food and clothes. Later in life he became the leader of the Soviet Union in the mid-20th century and became Lenin's right hand companion, which helped him rise to the heights of power after the Russian Revolution. Winter in Stalingrad was very harsh, it was cold, snowy, bitter, and it was painful. It hurt the Germans the worst out of both sides. The Germans were not prepared for winter at all, they were wearing summer uniforms. Stalin decided to send another two million soldiers at the Germans because they knew that the Germans were hurting. Germany was about 1,800 miles away from home and they had no way of leaving because the railroads weren't in working condition. 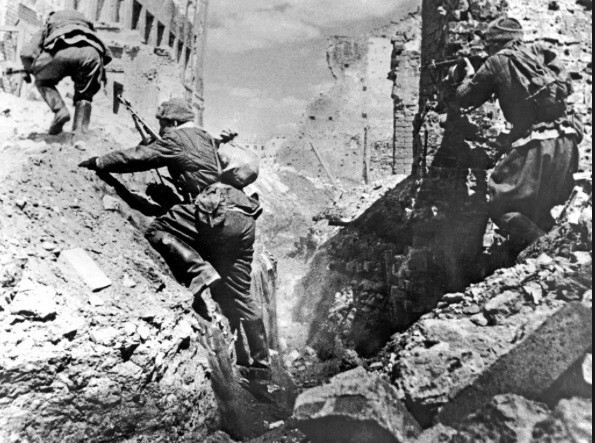 German offensives sent another approach to Stalingrad in the spring of 1943. A nine month titanic battle followed after they sent their offensives. The German Sixth Army was almost completely destroyed. This was just the beginning of the end of Germany, but it would still take three years of desperate fighting and millions of people dying. On August 17, 1942, Winston Churchill, British Prime Minister, left Moscow. That same day the German Army Group B entered the city of Stalingrad, showing no mercy, they unleashed bombs over the city. 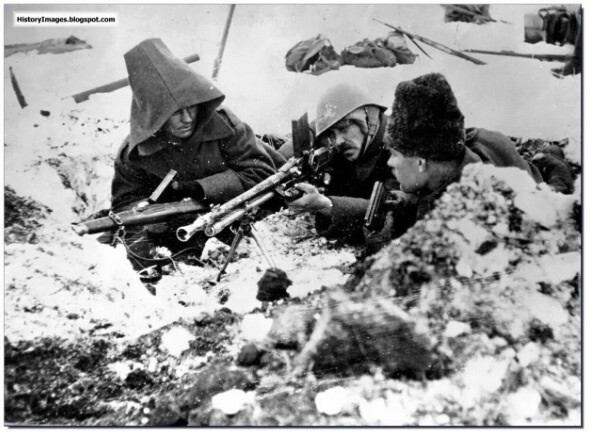 What the Germans didn't know was that Stalingrad was ready for them. November 19, over one million soldiers participated in operation Uranus to try and surround the German army. Not only did they defeat the Germans, but they also made them retreat through an oil field. 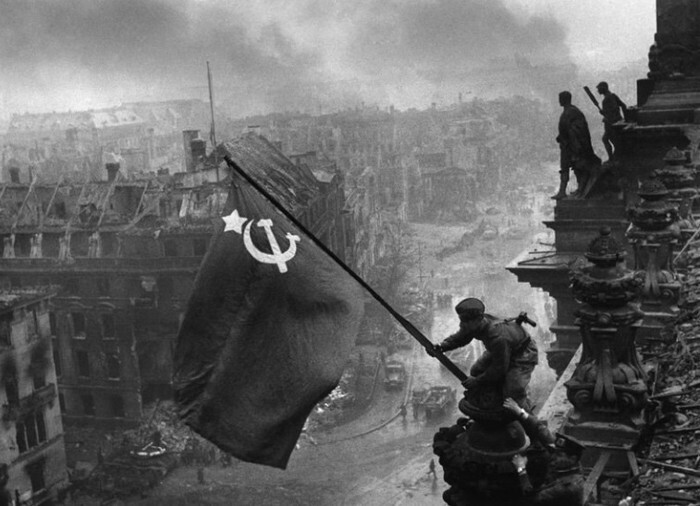 At the end of all of this massacre and craziness Stalingrad came out on top and defeated the Germans. They showed no fear and the will to fight, no matter how hard it got. This battle gained the acknowledgment of another fighter and it gave Stalingrad confidence in his team, they stayed in for the rest of the war. 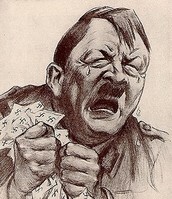 For Hitler, on the other hand, it made him humiliated and upset.